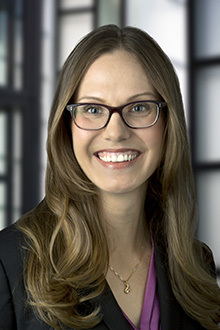 Steffanie Malla is an associate in the San Francisco office of Lewis Brisbois and a member of the General Liability Practice. Her practice includes all aspects of civil litigation including personal injury, landlord/tenant, and products liability. Ms. Malla began her legal career as a law clerk to Judge Tomar Mason (Ret.) at the San Francisco Superior Court. Thereafter, Ms. Malla worked as a Legal Research Attorney in the law and motion department of San Francisco Superior Court. During law school, Ms. Malla served as a judicial extern for Chief Magistrate Judge James Larson (Ret.) at the United States District Court for the Northern District of California. She also interned for a panel of four judges at the United Nations International Criminal Tribunal for the former Yugoslavia. Case Note, Requiring Exhaustion: An International Law Perspective of the Alien Tort Claims Act in Sarei v. Rio Tinto, 38 Golden Gate U. L. Rev. 461 (2008). Case Summary, Giving Employers Guidance: The Proper Response to No-Match Letters Under Aramark Facility Services v. Service Employees International Union, Local 1877, 39 Golden Gate U. L. Rev. 387 (2009).